Every absence, excused or unexcused, is a learning opportunity lost and can have significant impacts on a student’s success in school and life. A student who misses 18 or more days in a school year—just two days a month—for any reason is considered chronically absent. 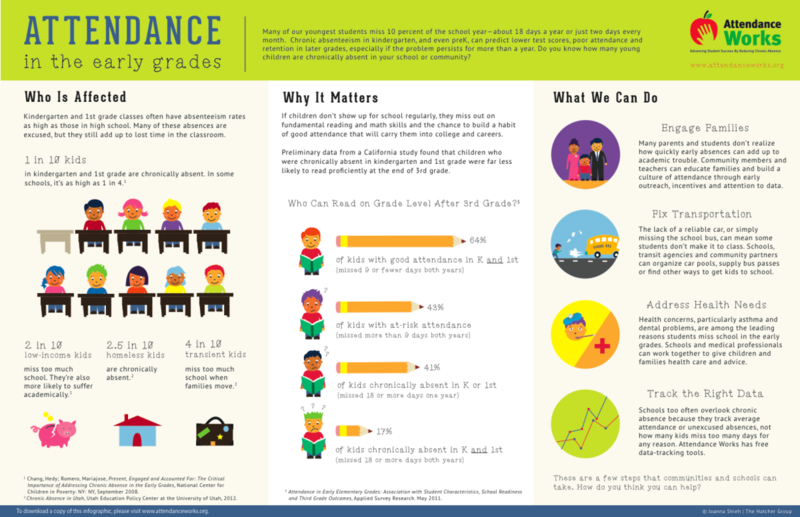 Chronically absent students are more likely to fall behind in reading and math and less likely to graduate from high school. Addressing chronic absenteeism and developing good attendance habits is a solvable problem for which we all share responsibility. Mt. 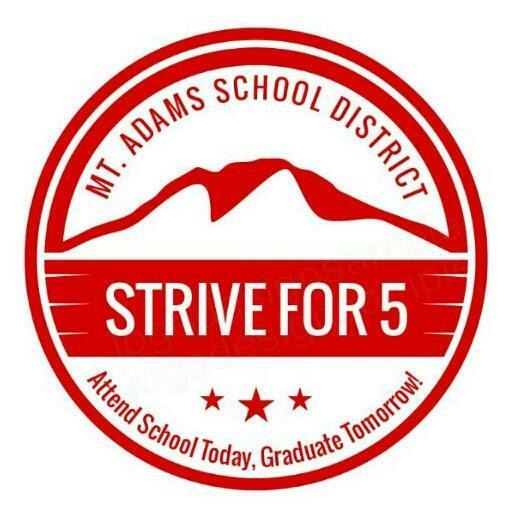 Adams School District encourages everyone, staff and students, to Strive for Five - attend school five days a week, every week, during the school year. Parents- Student absence notes can be sent electronically to building offices to excuse absences. Remember, notes need to be received within five (5) days of the student's absence in order to be excused. There has been a shift in reporting student attendance from the Office of Superintendent of Public Instruction for the 2017-18 school year. Districts may use their discretion to determine whether school-related activities offered in their district count as absences when students participate in them. Because of this change, field trips and sports related trips will not be counted as absences for our students during the 2017-18 school year. Also, in an effort to honor the implementation of tribal history and culture into our curriculum and knowing the alignment of these to WA State Learning Standards, the district has created a Cultural Activity/Ceremony Documentation form that students/families can fill out when they attend an event that promotes their culture. This form (see below) would ask the student/family to make connections about the cultural activity and their learning by participating in it. Examples of activities include, but not limited to, attending memorials, name-giving ceremonies, seasonal round food gathering, and traditional funerals. For students who complete and submit this assignment to the school building office where they attend within five (5) days of the cultural/traditional activity/ceremony, there will be no absence recorded. Students are still required to make up missing work from their classes. If you have any questions regarding this change, please contact your building principal.